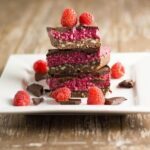 The layers of this raw chocolate raspberry slice work so well together; the chocolate nut base has the perfect crunch to it, the raspberry layer is soft and sweet and the chocolate layer will leave you wanting more. 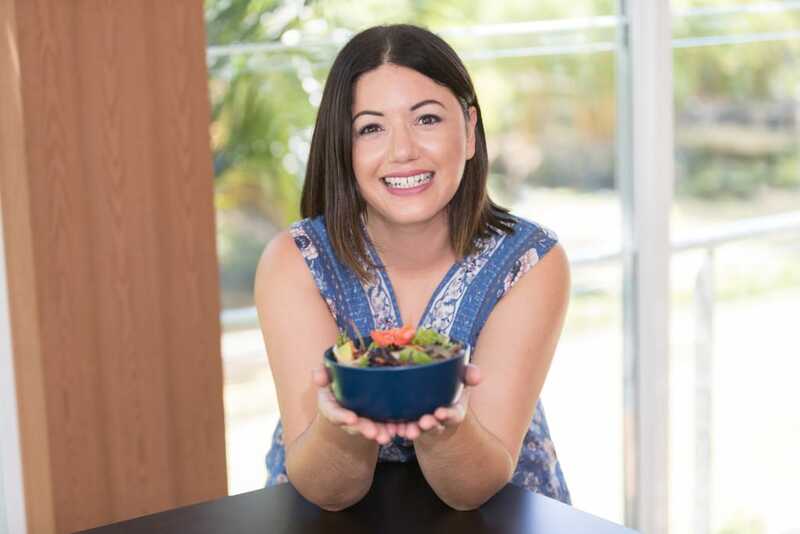 I have also included the Thermomix method for you. This Raw Chocolate Raspberry Slice is at the top of my dessert list. I love finding flavours that work well together in a slice and this classic pairing of chocolate and raspberry is no exception. The layers of this slice work so well together; the chocolate nut base has the perfect crunch to it, the raspberry layer is soft and sweet and thebecomingness.com/blog/raw-caramel-slice/ chocolate layer will leave you wanting more. Other desserts which are at the top of my list include, my Raw Caramel Slice, Raw Caramel Brownie Slice and Coconut Rough. I am finding it hard to narrow it down to a top three, so a top four will have to do. To make the base: add the base ingredients to a high speed blender or food processor and blend until it resembles fine crumbs and sticks together when pressed. Spoon mixture into a lined slice tin and press down with the back of a spoon. Place it in the freezer. To make the raspberry layer, blend all raspberry layer ingredients except the coconut oil in a high speed blender until smooth. Add coconut oil and blend until well combined. Add to the base and smooth over with a spatula or back of a spoon and place into the freezer for at least 1 hour to set. To make the chocolate layer, melt the coconut oil in saucepan on low heat. Once melted, remove from heat and add the maple syrup. Whisk briskly until well combined. Then add the cacao powder, stirring until well mixed through. Pour the chocolate on top of the raspberry layer. Place back into the freezer and let it set completely, approximately 2-3 hours. You want to ensure that the slice has completely set, to allow for easier slicing. Remove from the tin, slice straight away and store in an airtight container in the freezer (I recommend the freezer as the raspberry layer softens easily). I would recommend freezing for longer time to allow for easier slicing. The cook time does not include the time is takes to freeze. Add all ingredients to the Thermomix ingredients for 20 seconds on speed 7. Add mixture to a lined tin, smooth out with a spoon and place in the freezer to set. Add all ingredients to the Thermomix ingredients for 10 seconds on speed 7. Add to the base and smooth over with a spatula or back of a spoon and place into the freezer for at least 1 hour. Add the organic maple syrup mix for 3 seconds on speed 4. Whisk in the cacao powder for 10 seconds on speed 5. Put back into the freezer and let it set completely (around 1 hour).Remove from the tin, slice straight away and store in an airtight container in the freeze (I recommend the freezer as the raspberry layer softens easily). Hi Ness I was wondering if you could make this with frozen raspberries without the thermomix?